Gertrud Natzler with her husband, Otto, at Brandeis Camp Institute between 1956 and 1960. Photographed by Lotte Nossaman, courtesy of the Natzler Family Trust. 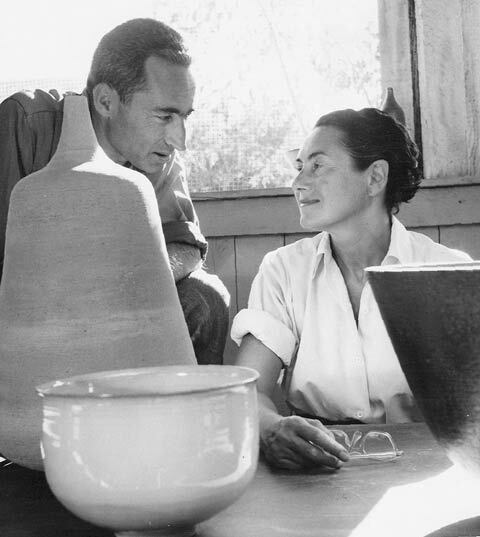 Gertrud Amon met Otto Natzler in Vienna in 1933, and began their collaboration in ceramics in 1934. Their professional relationship blossomed into a romance that would last until Gertrud’s death in 1971. Mostly self-taught, the pair studied at the ceramics studio of Franz Iskra before opening their own studio in Vienna. With Gertrud at the wheel and Otto mixing and developing glazes, their collaboration led them to exhibit their work at Galerie Würthle in 1937 and won them a silver medal at the Exposition Internationale des Arts et Techniques dans la Vie Moderne on March 11, 1938, the same day Nazi Germany annexed Austria. In June of that year Gertrud and Otto were married, and by September they fled to the United States. Like many artists fleeing Nazi Germany at that time, the Natzlers chose Los Angeles to settle, adding to the rich artistic tapestry of Southern California during the war and post-war period. Their partnership raised the profile of the pair to one of the most influential ceramic studios on the West Coast. 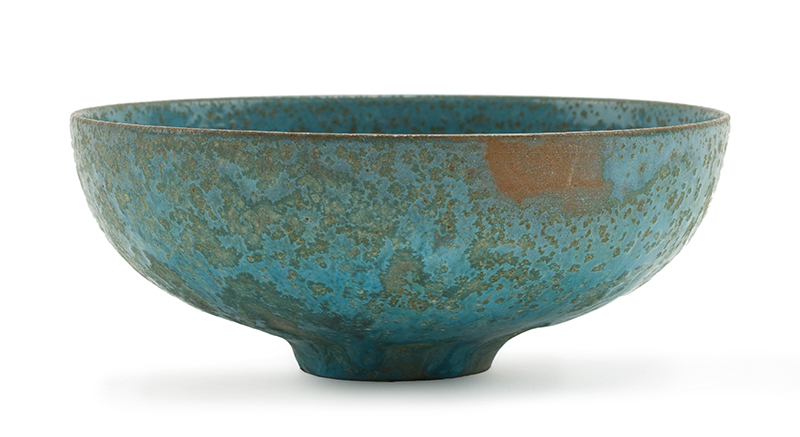 Both of the time and timeless, Natzler pottery celebrates the symbiotic union of vessel and glaze. Unlike many artists working at the time, the style and look of the Natzler’s work changed little over the years. Between the hand-thrown form of impossibly thin walls thrown on the wheel and delicate curves dexterously shaped by hand; and the monochromatic glaze, honed tediously by trial and error leading to “happy accidents” achieved through innovative formula and regulated firing. The harmonious balance between the form and the glaze mean they can only exist together, one developed to compliment but not overtake the other. 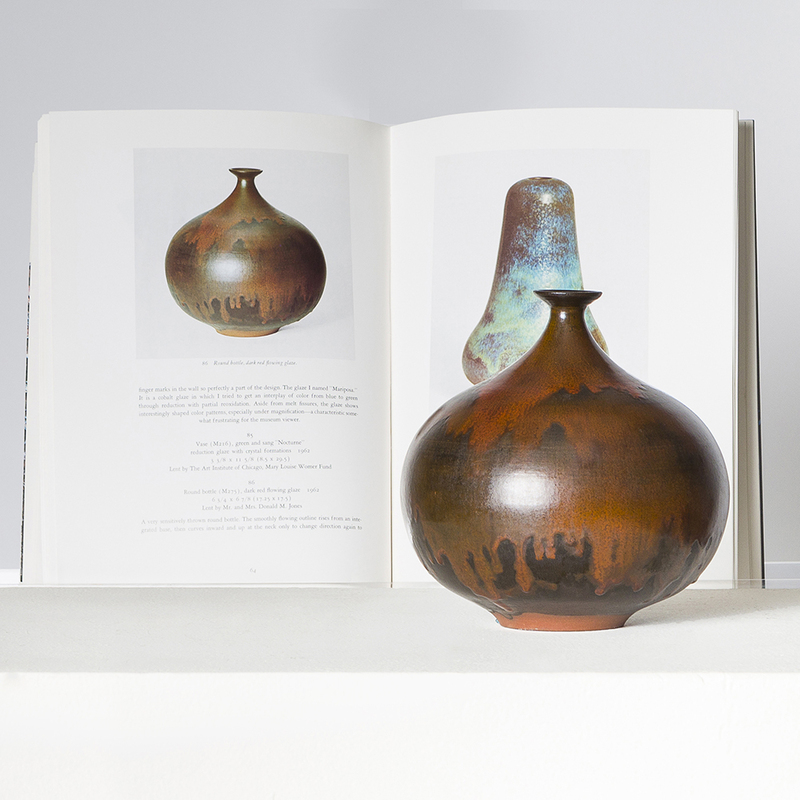 The fruits of this partnership, nearly 20,000 vessels and 2,000 glazes, can be found in many museum and private collections around the world, including the single-owner collection contained in the 20th Century Art + Design auction. As Gertrud wrote in her notes: “The true lover of a pot will see a world contained in it and he will never think of himself as the owner but as the trustee through whose hand it shall pass to the next.” (Natzler, as cited in Natzler, 1973, p. 23). This collection consigned from a Pasadena estate encompasses a lifetime of patronage and collection. A personal friend of the Natzlers, the owner sought out and purchased their pieces along with other top ceramicists including Harrison Macintosh and Beatrice wood to create an assemblage of important California ceramic art. Moran’s is proud to be the temporary custodian of this remarkable collection until they too are passed to a new trustee. 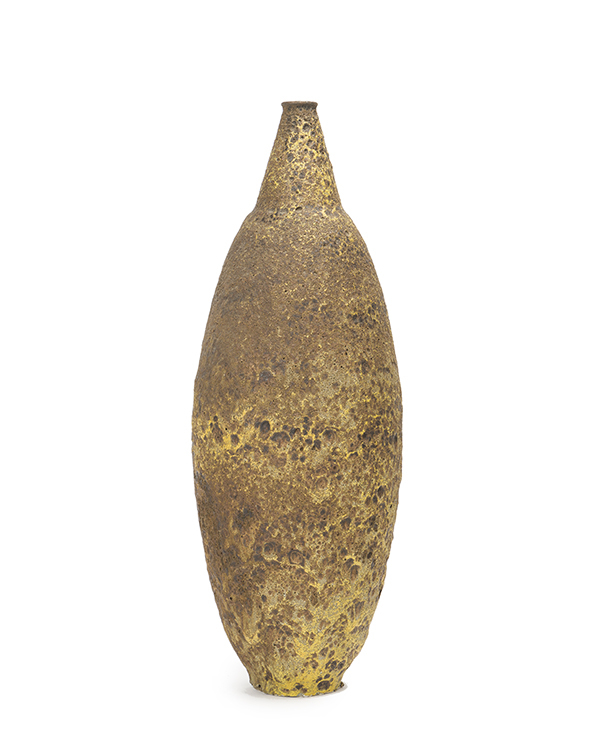 These pieces and many more will be featured in Moran’s May 5th, 2019 20th Century Art + Design auction together with other California art pottery as well as furniture and décor from the era’s leading craftsmen. Natzler, Gertrud, and Otto Natzler. Form and Fire: Natzler Ceramics, 1939-1972. Washington: Published for the Renwick Gallery of the National Collection of Fine Arts by the Smithsonian Institution Press;, 1973. Other image: Photographed by Lotte Nossaman, courtesy of the Natzler Family Trust.